Home > News	> Minecraft Dragons, Because poking Bethesda with a stick is fun! 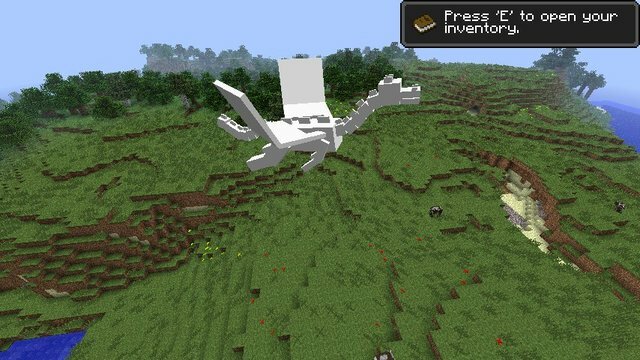 It’s still not entirely certain whether or not this is true but apparently Notch is working on adding Dragons into Minecraft at some point in the future. Dragons which randomly spawn and fly around and probably attack you giving you the opportunity to kill it for phat lootz. Sound familiar? It should because that’s what the primary focus of Skyrim is going to be… and you do know about Skyrim I hope/assume/know. Of course it could just be bad timing, Notch could have been planning this for ages and the announcement of dragon in Minecraft could have been planned for ages as well, only now it’s announcement coincides with the unfortunate legal difficulties between Notch and Bethesda over Scrolls (see news post here) which obviously throws it into a different light. In fact, while on that topic of the court case. In my previous posts I think it seemed I was very much on Notch’s side. I would like to take that back now and replace it with an on-the-fence position here. Because while I do think that the case is a bit silly, I also have to agree that Bethesda does have a right to protect it’s own interests. Also, as this post from Joystiq shows, it seems Bethesda isn’t actually too pleased about it either. It’s not something they want to do, but rather something they feel they have to (or at least, that’s how they are spinning it). And apologising for what they are doing does make me think twice at least before I start cheering on Notch.